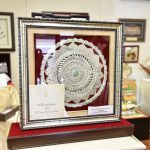 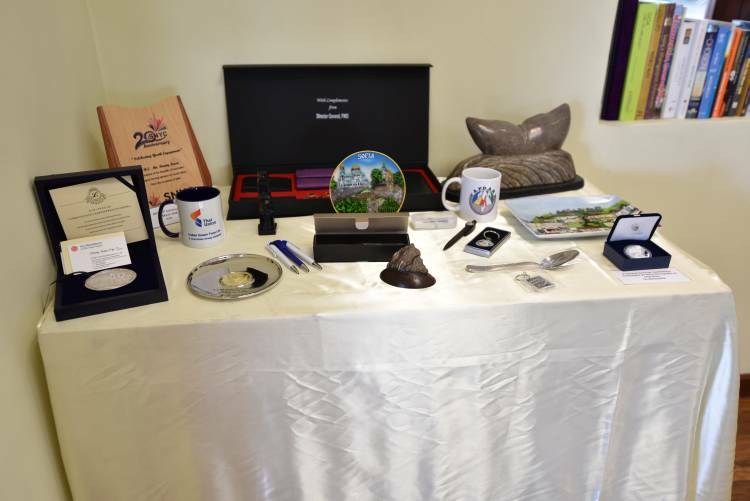 Seychelles President Danny Faure has unveiled a special exhibition of gifts he has received from foreign dignitaries to mark his second year as the country’s Head of State. 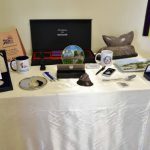 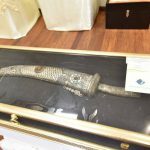 The more than 160 “Gifts of State”, given as part of official visits by and to foreign ambassadors, comprise a wealth of different and unique items – from the art of indigenous peoples to replicas of national monuments, and even historical artefacts. 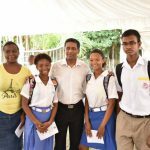 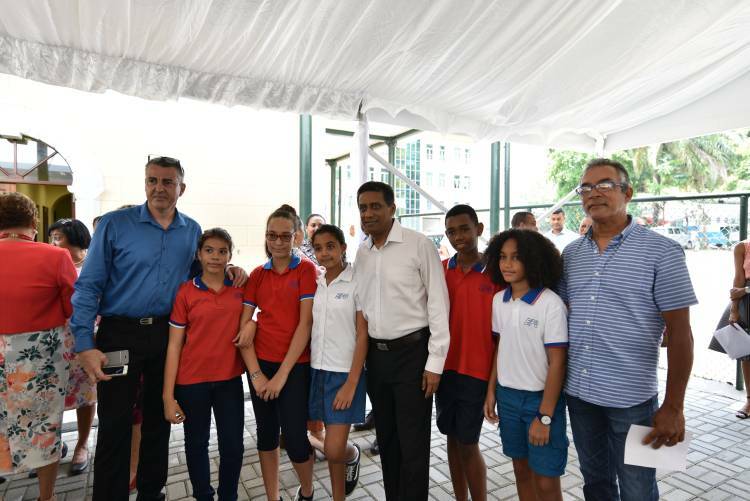 The exhibition was opened by the President himself, accompanied by ministers and dignitaries as well as members of the public, teachers and school children. 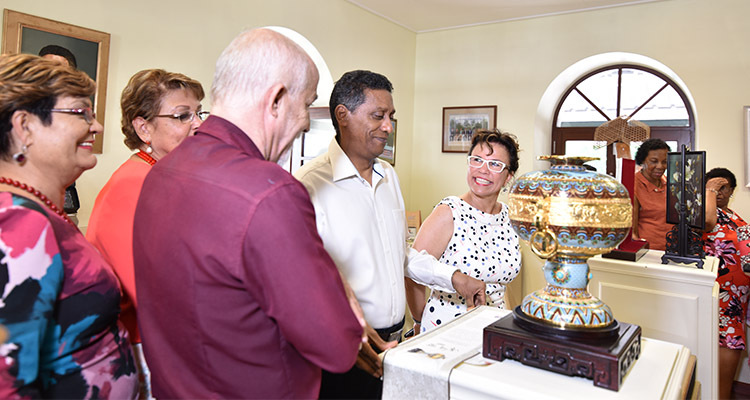 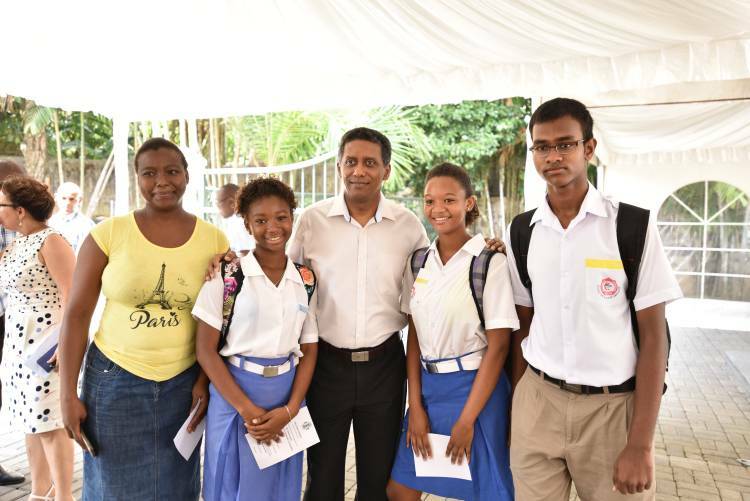 The display will be held in the Mayor’s Office of the Seychelles’ capital Victoria, in a repeat of a similar exhibition held to mark the first anniversary of President Faure’s leadership of the island nation. 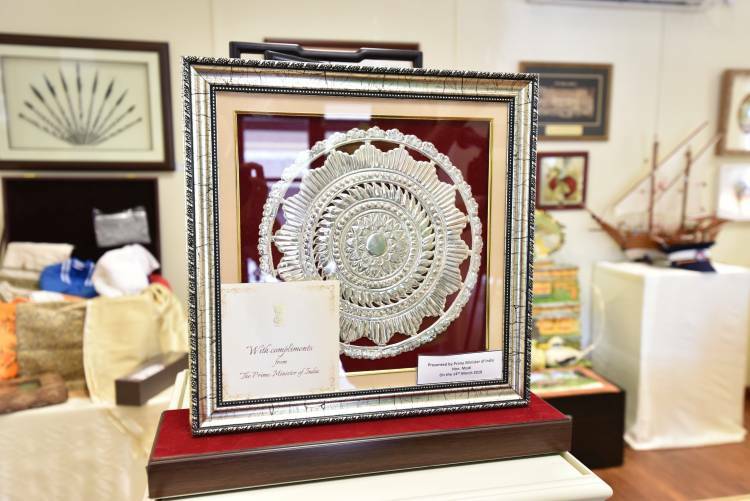 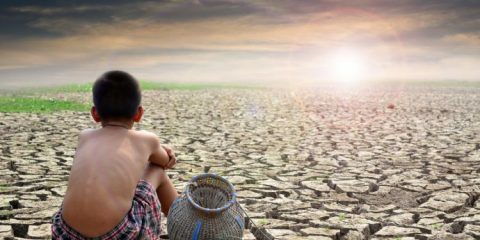 After the month-long exhibition is concluded they will be displayed on rotation at the Museum of Natural History for twelve months, before going on permanent display at State House. 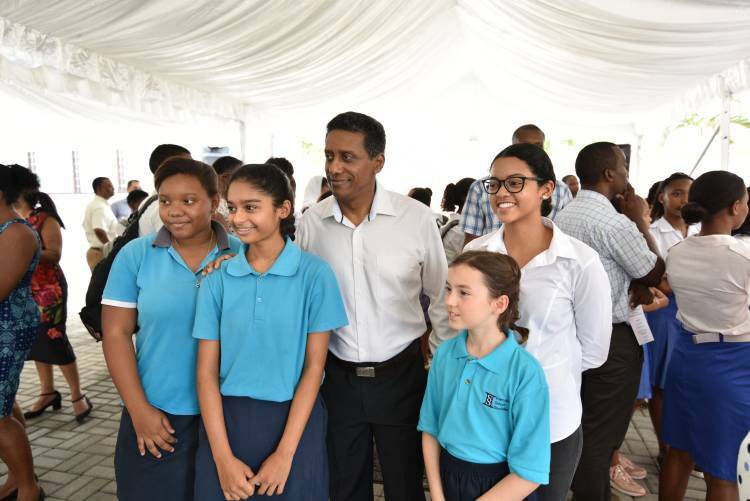 The exhibition is part of President Faure’s policy of honesty and transparency. 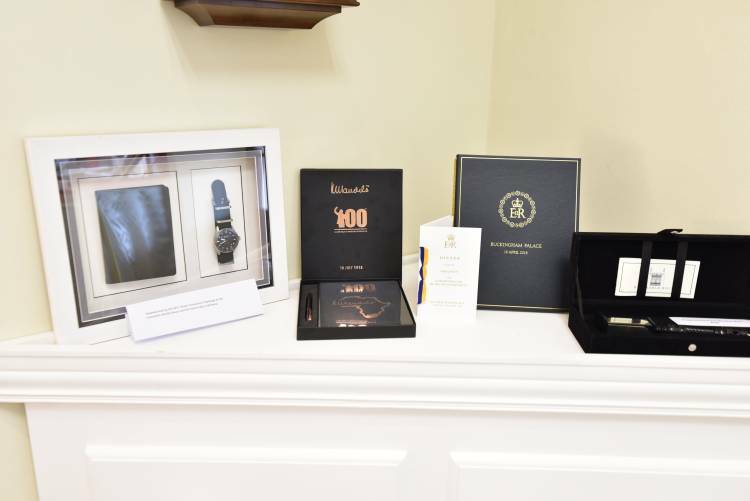 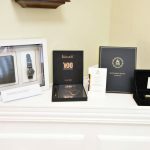 It aims to tackle fears of corruption or dishonesty in government by displaying the gifts and presents given personally to the President by representatives of other countries. 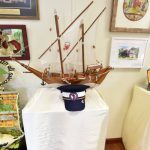 It is also designed to better connect the general public to the gifts, which belong to everyone in the Seychelles, by displaying them publicly where locals and tourists alike can enjoy them. 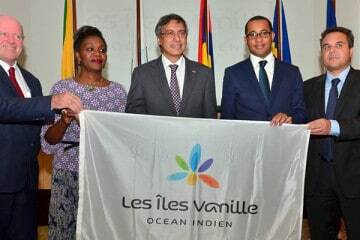 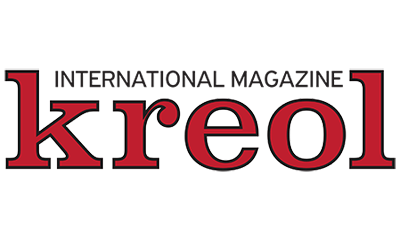 It is hoped that the exhibition will also inform and remind residents of the Seychelles of the international bonds of trade, friendship, and communication that tie them to other countries around the world. 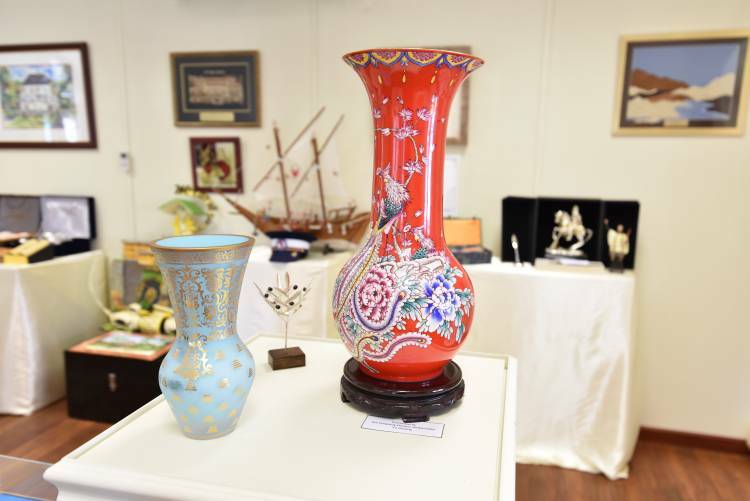 With such a wide range of objects from many different countries, including a replica of the Taj Mahal from India, a tea set from Botswana and traditional ceramics from China, both local and global partners are represented – demonstrating the State’s reach around the world. 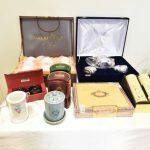 The collection is also evidence of the work that President Faure and his government are doing to foster and strengthen these relationships around the world, at a time when international cooperation on issues like trade and climate change are of the utmost importance. 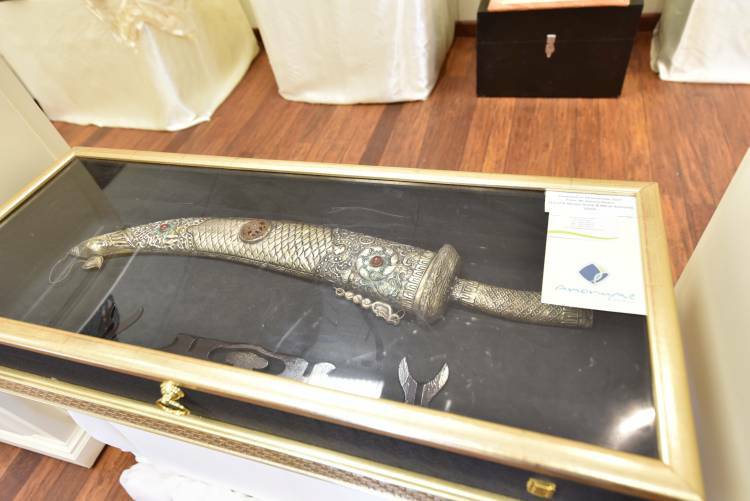 By displaying these pieces in public, it reveals an aspect of diplomacy that is usually off-limits to the general public – another step in the President’s plan to eliminate the perception of corruption within the state. 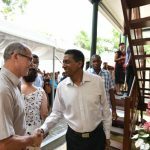 Reactions to this and other similar exhibitions held during President Faure’s term have been positive, with government officials and ordinary people praising the display as a progressive and concrete example of the principle of transparency in action. 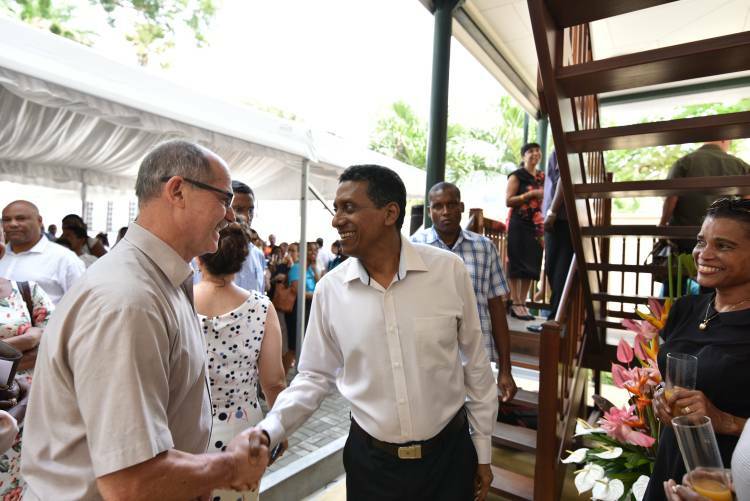 He is the 4th Head of State that the Seychelles has had since the nation achieved independence from the UK in 1976, and he is the first to open up his country’s government in such a way. 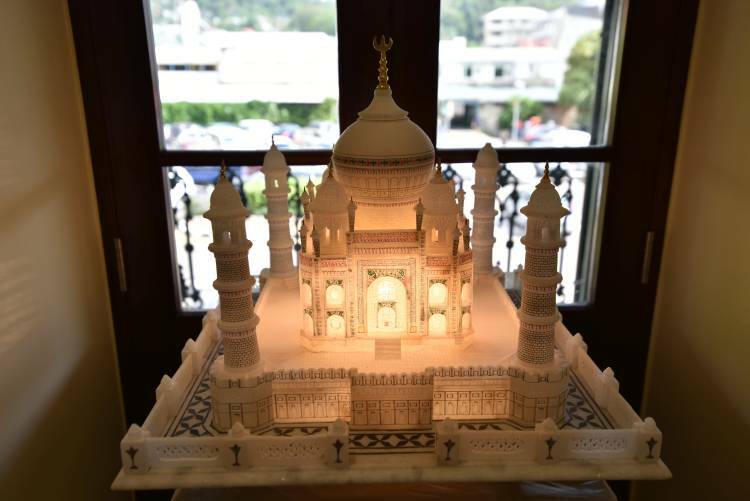 Official sources are confident that this display will be repeated every year that the President is in office, to continuously demonstrate where the President has visited. 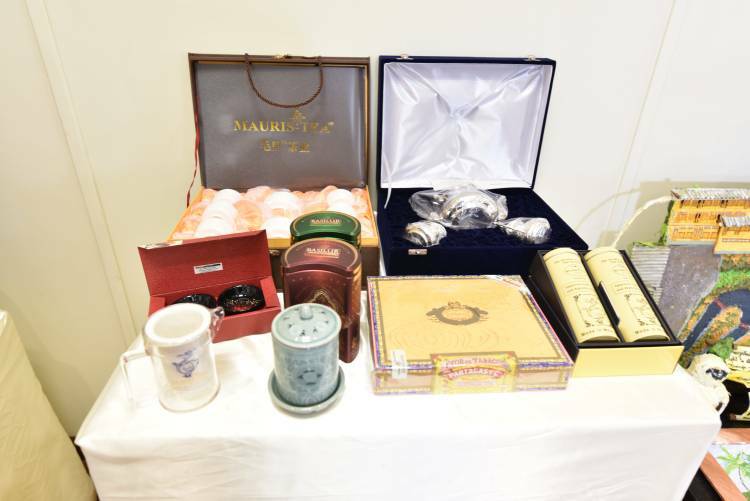 “Gifts of State” was open to the public, and continued until 16 November 2018 at the Mayor’s Office. 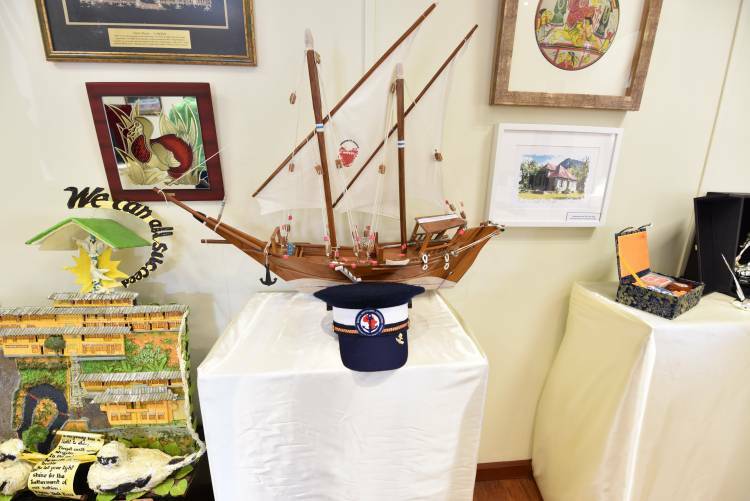 It has now moved to the Museum of Natural History and will eventually be on permanent display at State House.